The Shopping Channel has a Flash Sale today for International Women's Day! 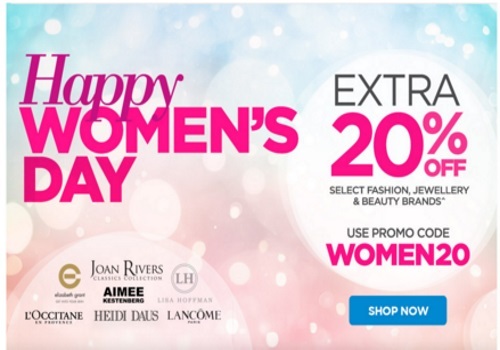 Save an extra 20% off select fashion, jewellery and beauty brands! Enter the promo code WOMEN20 at checkout. Offer ends Tuesday, March 8 at 9:59pm ET.